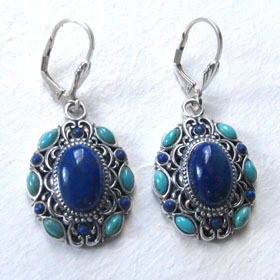 Turquoise earrings with lapis lazuli set in sterling silver. 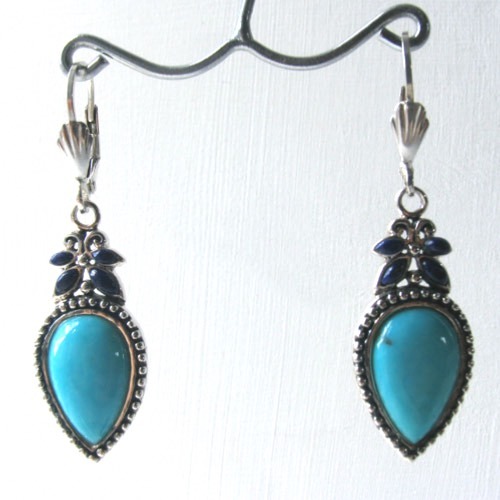 These turquoise drop earrings are substantial and beautifully made. 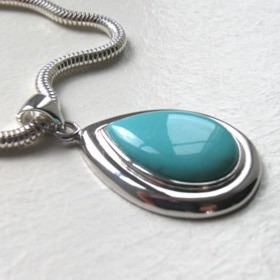 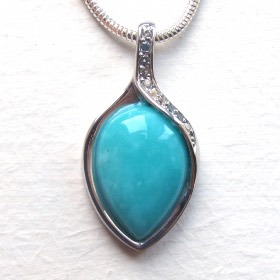 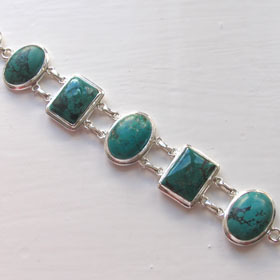 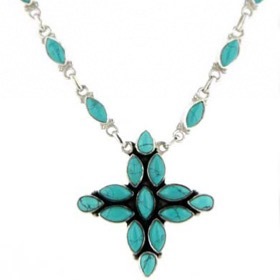 The turquoise pear drops are set into a sterling silver frame with small beads around the perimeter. 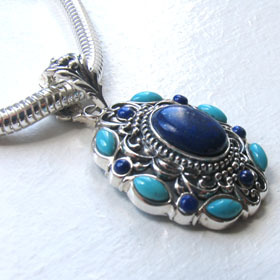 Above the turquoise stones are 4 marquise shaped lapis lazuli gemstones which create a flower style decoration. 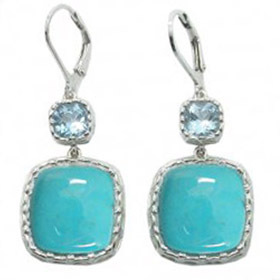 The earrings drop from an earwire with a safety catch at the back and a fan design on the front. 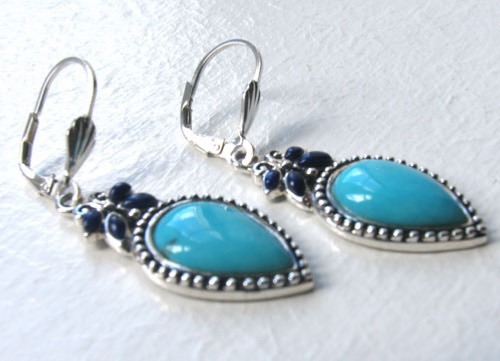 They look gorgeous in your ears. 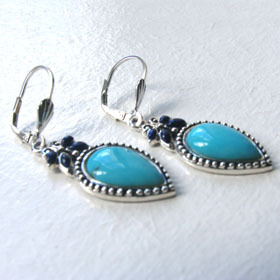 They move freely on the earwire so will dance as you move your head. 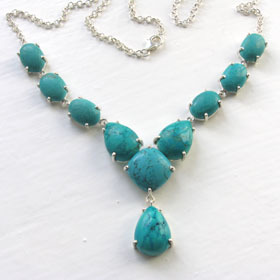 The stones are open at the back. 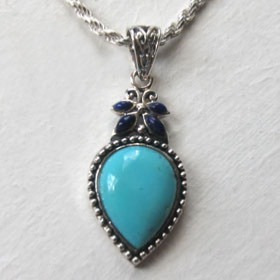 See the matching pendant Katy.